Prince George’s nanny is Maria Teresa Turrion Borrallo, Kensington Palace reveals. The palace also asked for the nanny’s private life to be respected. Maria Teresa Turrion Borrallo has already started work as Prince George’s full-time nanny, the palace said. The nanny will travel with the third in line to the throne and his parents, Prince William and Kate Middleton, to New Zealand and Australia in April. 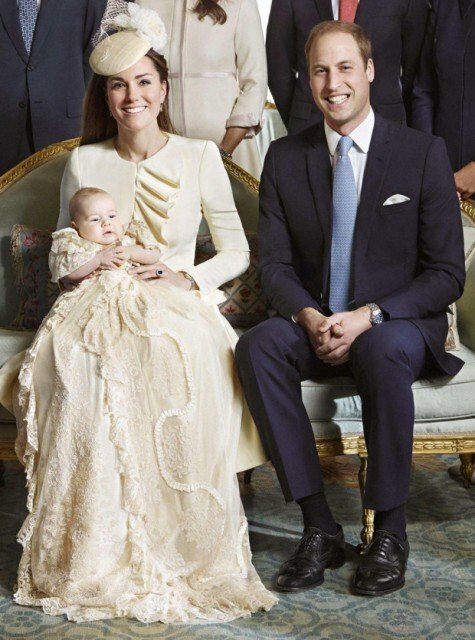 Kensington Palace said the Duke and Duchess of Cambridge were “delighted” Prince George’s nanny had joined them. Maria Teresa Turrion Borrallo, who is originally from Spain, trained at Norland College, a childcare training college in Bath, a palace spokesman said. “As an employee of the Royal Household we would ask, please, that Maria’s privacy, and that of her family and friends, be respected,” said the spokesman. The palace also said it was aware photographs had been taken of Maria Teresa Turrion Borrallo, and warned that these pictures were taken by a photographer who was not in possession of the correct permit. It added that the pictures, which snapped Maria Teresa Turrion Borrallo in Kensington Palace Gardens, consequently contravened the Royal Parks and Other Open Spaces Regulations 1997, and the issue was now “a matter for the Royal Parks Police”. Prince George was born in London on July 22, 2013, and christened last October. Maria Teresa Turrion Borrallo is a full-time replacement of Prince William’s former nanny Jessie Webb, 71, who has looked after Prince George as and when the couple needed her.